When nesting Collapse inside collapse, parent and children collapses should have a separate events executing only for the current collapse. Events set on parent collapse get executed when same event takes place in child collapse. 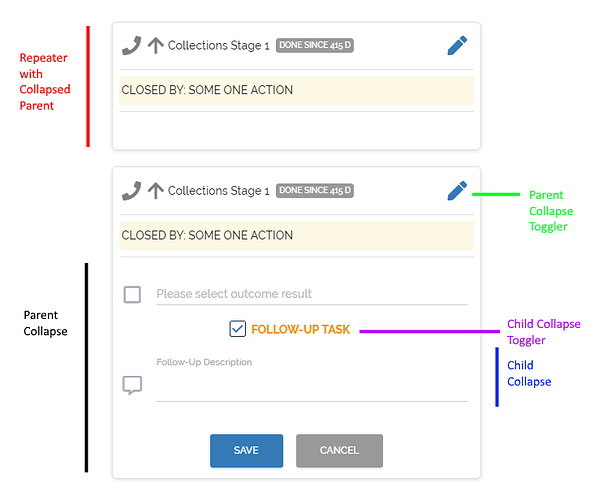 The issue is that the shown/hidden dmx/JS events set on parent collapse are executed every time child collapse is shown/hidden as well as when parent collapse is shown/hidden. It should only fire on parent’s events.